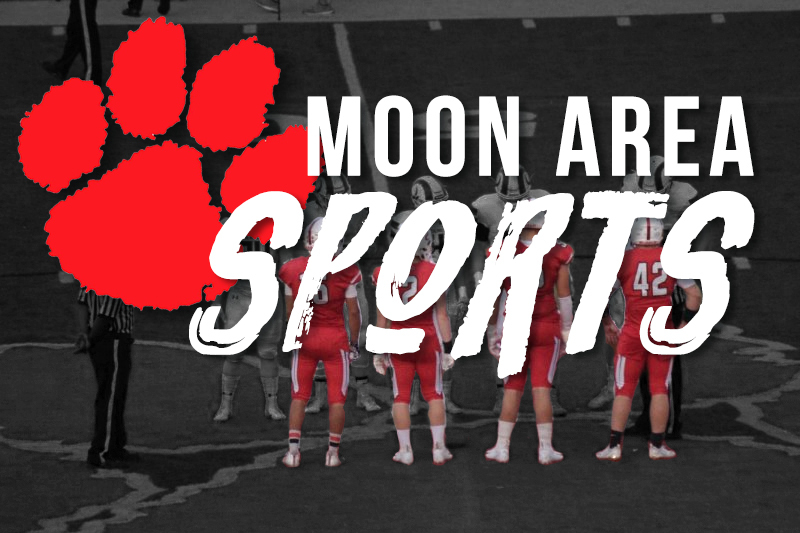 MOON TOWNSHIP — The Moon Tigers (12-0, 5-0) squared off against the Thomas Jefferson Jaguars (6-7, 1-3) in a section match-up on Friday. The Tigers proved too dominant on both defense and offense as they easily came away with a victory over their section foes. The first quarter started off quick for the Tigers after a tip-off pass from Donovan Johnson to Connor Ryan for an uncontested layup to score the game’s first points. Thomas Jefferson came out in a defensive 2-3 zone in an effort to limit Johnson’s game in the paint. Despite the defensive look, Johnson took over the first quarter. He had four threes and 15 points in total. Moon dominated the first quarter and commanded a 13-point lead at the sound of the buzzer, 22-9. The second quarter started with back-to-back three-pointers for both teams. The entire quarter continued in a back-to-back shootout with both teams hitting their shots. Defense in the quarter was not as fierce as it was in the first quarter, as the Tigers and Jaguars combined for 37 points. The second quarter capped with a half court pass from Johnson to Connor Ryan for a buzzer beater layup. Moon lead at the half, 40-28. In the third quarter, the Tigers began to pull away and put the game out of reach. Moon started out the quarter with 2 threes and an and-1 to set the tone. The Jaguars responded with an elbow jumper which would be their only points for the next 4 minutes. Moon continued their run which was broken from a single free throw by the Jaguars at the 2 minute mark. Moon ended the quarter up 28, 64-36. In the fourth quarter, the Tigers got to showcase some of their younger players, who they will look at to rely on next season, such as Zach Hurley and Cam Goeble. The Tigers coasted to a victory and ran out the clock most of the quarter thanks to the lack of a shot clock. The Tigers came out with an impressive 78-47 victory over the Jaguars. Moon’s top scorers on the night were Johnson with 26, the Ryan twins with 11 each and Taru Jones with 10. The Tigers will hit the road to face the Montour Spartans (7-6,3-1) in a conference battle against two teams at the top of the standings.